Two weeks ago I visited the UK again, to meet up with my good friend Sarah from Crafts from the Cwtch, and to visit Unravel 2015! I’ve got another blog post prepared for you all with my impressions of that weekend; all the yarn & fibery goodness, and of course all the amazing people I met! To be honest: I came to Unravel without a shopping list. Shocker, I know! There was nothing that I just HAD to get or needed or wanted; I decided to just let myself be surprised by all the amazing vendors at the show and play it by ear. But first things first. I got this Clover yarn cutter pendant the second I saw it. I ran into this last year too, but unfortunately I had ran out of cash so I couldn’t get it. Which was a real shame, since I didn’t bring any scissors with me on the plane (for obvious reasons). I can tell you stories about being at the hotel room and trying to cut gorgeous silk yarn with a pair of keys… *spoiler alert* it doesn’t work! You can totally see why I went home with this beauty! I mean, there’s flowers in there! And sparkles! And glitter! So naturally, now that I had a spindle, I needed fiber (or someone told me). Lucky for me, there was plenty of fiber at Louise’s stall! I didn’t have to think too long about which colours I wanted; these just screamed my name! But I couldn’t go home with just one measly bit of fiber now could I? Introducing: the texture bag! Of course, now that I own a spindle, and the most gorgeous fibers EVER, I’m in need of drop spindle tutorials! :) So ladies, help me out here: link your best drop spindle tutorials in the comments section below, and I will be eternally grateful! http://joyofhandspinning.com/spinning-yarn-with-a-drop-spindle/ This is what came up for me when I googled drop spinning. It has some good pictures. I’m really interested to see how this turns out. Please share lots of pictures! Have a look on the Knitty blog/website. I got tons of great hints and tips from here when I first started spinning! O, wat een fantastische schat heb je mee naar huis genomen! De hanger is prachtig, en daarnaast ook erg praktisch. En die spin-stok is werkelijk prachtig, met die bloemen en glitters erin. Geen idee hoe je ‘m moet gebruiken, maar ik ben erg benieuwd naar het resultaat. De kleuren beloven heel veel goeds, dus hou ons op de hoogte! Succes! Oh wow! You’re very lucky indeed! Your gorgeous new fibres are fabulous, but that drop spindle!!!!! Amazing! I have never been able to master the drop spindle so I’ll be interested to check out the links others post here. I have practiced and practiced and tried and tried and watched a basquillion tutorials and I still don’t feel like I’m getting it. I feel like there’s some trick to it that just hasn’t clicked for me yet. I can get yarn from my drop spindle, but it’s never even (not even vaguely) and it breaks etc. but I’ve watched others do it and they’re getting great yarn from it and they make it looks so simple :-) Good luck with your gorgeous drop spindle and I will look forward to seeing what you create! I am so happy for you! I can’t get over how beautiful and so nature related everything looks. It’s simply beautiful! You’re very lucky indeed. Good luck with it all and I can’t wait to see your progress! Oh wow, wat is íe mooi!!! Ik heb sinds een week ook een dropspindle dus volg je stappen met grote interesse! Ik heb al op youtube gekeken en vind het nog wel lastig te beginnen hoor! Drop Spindle Spinning 101 for beginners: http://youtu.be/NChx20Kl7Bo , this was the first helpful video I watched. Becareful, it’s addictive! I just bought a spinning wheel this New Year because spinning on my drop spindle just wasn’t enough ;). Enjoy! Those fibers look like a lot of fun! 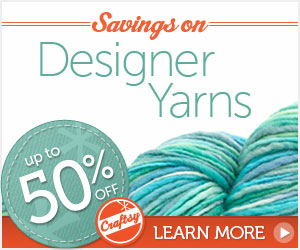 Craftsy has drop spindle class. Enjoy all lhat spinning! Bet some terrific yarn shall be born! Oh wow! What amazing photos. I wish I had an enabler like Sarah!! Or maybe I don’t…no…I definitely do! Can’t wait to see your yarn.